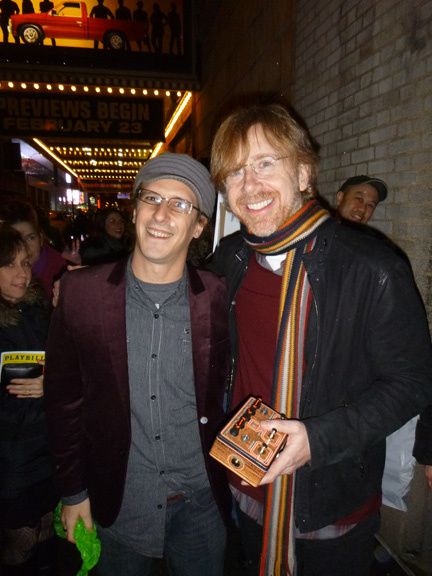 Thanks to LiveMusicBlog for this cool post about a fan hand delivering his custom made, light sensitive, foot effects pedal to Trey Anastasio. Who knows if Big Red will use it live on stage, but knowing his experimental ways, I wouldn't be surprised if he gave it a go. You can read more about the inventor of the pedal here. He has done a bunch of cool shiz, I dig his re-created Ibanez TS 808 Tube Screamer as well as some other stuff he has been doing.